Refugees in the Kalobeyei settlement in the Turkana County of Kenya receive a monthly cash payment from the United Nations. Yet some families struggle to provide for basic needs with the amount provided. Some had to exchange food rations for charcoal to meet their energy needs, as Thomson Reuters Foundation reports. The Kitchen gardens project offers solutions to some of the 60,000 people living at Kalobeyei. Small plots of land close to the shelters of the camp are assigned to refugees who can then cultivate the land using a technique called 'sunken beds'. This involves digging small holes of 45 centimeters deep and filling them with 20 cm of top soil. The remaining soil is mixed with manure and is spread on top. The mixture retains even small amounts of water for longer, which enables crops to grow to full maturity. As Turkana is a semi-arid region, only waste water and tap spillage are meant for irrigation in order to avoid wider water shortages. Refugees can use the crops including fruits like melons or vegetables to supplement their own diets as well as sell them for income at the local market. 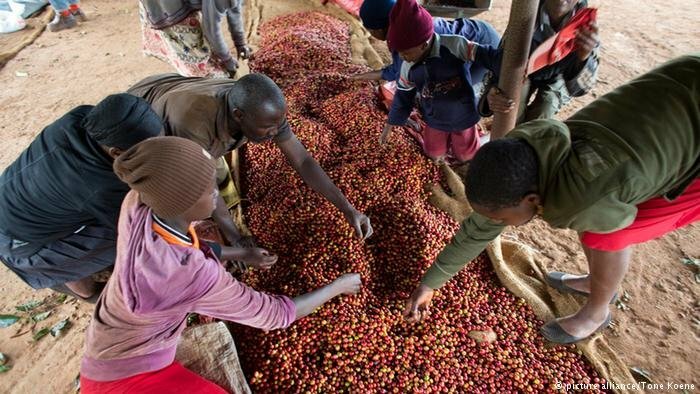 The farming has led to exchange and business with the local Kenyan community. The agriculture project is part of a 15 million-euro social and economic development project funded by the European Union Trust Fund for Africa, implemented with support from the Turkana County government and UN agencies. Set until 2030, its aim is to provide refugees the possibility to build a sustainable living and become less dependent on aid. Funding for humanitarian relief for refugees in Kenya has dwindled in the recent years due to exacerbating situations in the Middle East. "Activities like agriculture can offer an alternative livelihood to refugees and make them self-reliant", Maina Kibata of the UN Food and Agriculture Organization (FAO) told Thomson Reuters. According to the UNHCR, Kenya has over 480,000 registered refugees and asylum-seekers. 60 percent are from Somalia, 22 percent from South Sudan, and 7 percent from the Democratic Republic of Congo. The remaining are from Ethiopia, Burundi and other African countries. Most of the refugees live in camps, the most densely populated ones being Dadaab and Kakuma. Another goal of the Kitchen Garden project is to make the area of the Kalobeyei camp productive even in case the refugees leave or return home. An irrigation system is due to be set up by the Turkana government and the FAO.